Vancouver, British Columbia, August 29 (FSCwire) - Prophecy Development Corp. ("Prophecy" or the "Company") (TSX:PCY, OTC:PRPCD, Frankfurt:1P2N) is pleased to report that the non-brokered private placement of 150,000 units for $570,000 previously announced on August 8, 2016 was oversubscribed. As a result, the Company closed today the private placement of 202,735 units (each a "Unit") at a price of $3.80 per Unit for gross proceeds of $770,393 (the "Placement"). Each Unit consists of one Common share in the capital of the Company (a "Share") and one half of one Share purchase warrant (a "Warrant"). Each Warrant entitles the holder to acquire an additional Share at a price of $4.40 per Share for a period of five years from the date of issuance. August 29 (MSE) Mongolian Stock Exchange organized 5 securities trading sessions and made transaction of MNT77.9 million with daily average transaction of MNT389,454,290.00 in period between 22 August 2016 and 26 August 2016. 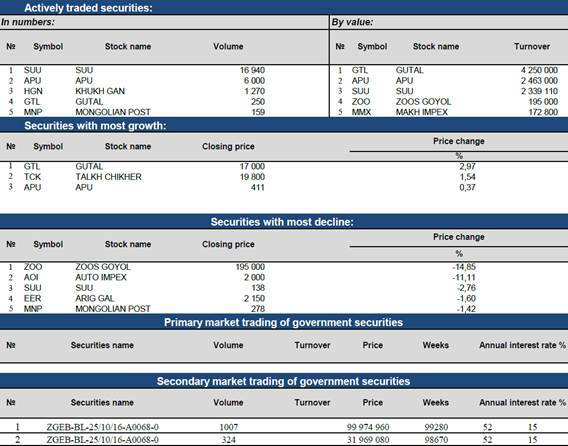 108,625.00 shares of 30 joint stock companies worth of MNT39,593,810.00 were traded. 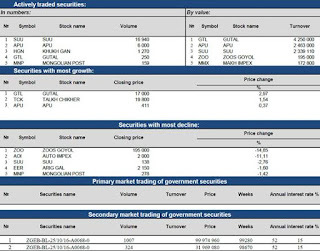 3,540 government retail bonds traded on secondary market of Government securities trading and total of 349,860,480.00 transaction has been made. As of 26 August 2016, market capitalization was MNT1,423,313,650,111.34 which indicated decreased of 1.84% and MSE ALL index reached 848.63 units which indicated decreased of 2.44% from the previous week. Hong Kong, August 29, 2016 -- Moody's Investors Service has downgraded the foreign currency long-term deposit ratings of seven Mongolian banks to Caa1 from B3, and initiated a review for further downgrade. The seven banks are: Bogd Bank LLC; Capital Bank LLC; Golomt Bank LLC; Khan Bank LLC; State Bank LLC; Trade and Development Bank of Mongolia LLC; and XacBank LLC. Moody's has also downgraded the local currency deposit ratings of Golomt Bank LLC, Khan Bank LLC, State Bank LLC, Trade and Development Bank LLC, and XacBank LLC to B3 from B2, and has placed the ratings on review for further downgrade. Moody's has also placed on review for downgrade the B3 local currency deposit ratings of Bogd Bank LLC and Capital Bank LLC. 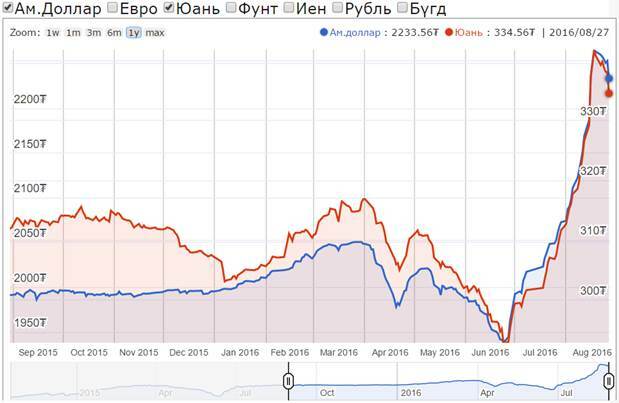 At the same time, Moody's has downgraded the foreign currency long-term issuer rating of Development Bank of Mongolia LLC to B3 from B2. The rating actions follow Moody's downgrade of Mongolia's sovereign ratings to B3 from B2 and the placing of the ratings on review for further downgrade on 26 August 2016. Please see the related press release for more information on the sovereign downgrade at this link: https://www.moodys.com/research/Moodys-downgrades-Mongolias-sovereign-rating-to-B3-places-it-on--PR_353706. A full list of the affected ratings can be found at the bottom of this press release. August 29 (gogo.mn) Newly formed Government, after the 7th Parliamentary election, has developed National Action Plan of Government of Mongolia to be implemented in 2016-2020 in accordance with the Mongolian Sustainable Development strategy until 2030, MPP action plan, civil society organizations, international contracts and public opinion. August 29 (MONTSAME) Adjourned after results of the parliamentary elections, the irregular parliamentary session opened on Thursday by ordinance of the Speaker. The special session is projected to discuss some vital issues, and one of the main agendas is a clarification of the 2016 budget. Last four years, the economic indicators of Mongolia have been constantly lowering, and the national economic growth is expected to be 1.3 per cent by end of this year, said Speaker Enkhbold in his opening remarks at the session. When talking about worsening of the economic situation, the Speaker said a deficit in the balance of payment has deepened, foreign investments plummeted, the Togrog rate has fallen and people's purchasing power dramatically decreased. In just a year, the master budget revenue cut by over one trillion Togrog, therefore the state budget has been clarified 2-3 times already. The master budget has experienced large amount of deficit for the past four years, he said, and explained a cause of the problems. According to the master budget performance by July of this year, the budget deficit reached 1.9 trillion. The cabinet concluded that the national economy and financial situation have become much worse than expected. In 2011, Mongolia received foreign investments of 4.6 billion US dollars, but it has steadily declined to 35 million US dollars by first half of 2016. International institutions also said the country's credit rating has lowered. In order to overcome the hurdles in economy, parliament plans to adhere to a tough policy on the budget, said the Speaker. Ulaanbaatar, August 29 (MONTSAME) Ts.Bayarsaikhan has been appointed the Chief of Staff of the Office of the President, succeeding P.Tsagaan. The latter notified of his resignation at his own request on August 24, to run for the office of chairman of the Democratic Party. P. Tsagaan had worked as the Chief since 2009. 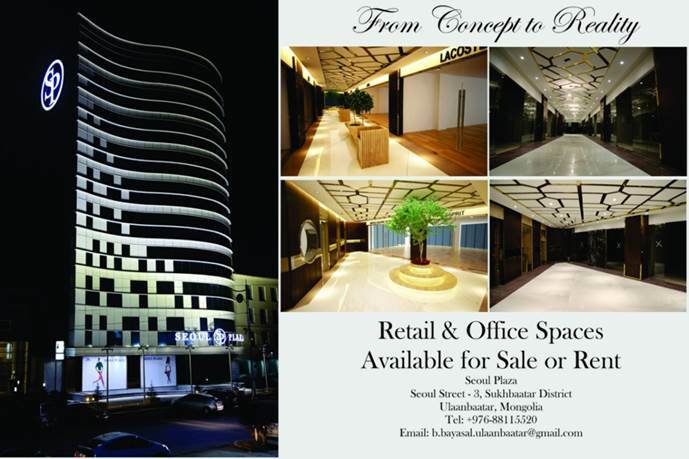 Bayarsaikhan Tsevelmaa received the seal and office on August 29. He has been elected to the State Great Khural (Parliament) in 1996 and 2004, and worked as the head of Standing committee on Economy, Minister of Social Welfare and Labor and on Construction and Urban Development. Morning Meeting #25 with D.Sainbayar, DP Member: "Secret of Singapore's Development"
August 28 (UB Post) Erdemt NGO is organizing its 25th morning meeting at The Blue Sky Hotel and Tower on August 30. Guest speaker of the meeting will be D.Sainbayar, a member of the Democratic Party. He will present a lecture titled "Secret of Singapore's Development". When: August 30, 6:45 a.m.
Ulaanbaatar, August 29 (MONTSAME) Capital city of Mongolia has successfully completed organizing the Annual Democracy Forum of 2016 at home on August 25 and 26. This year's "Learning from Democratic Transitions"- themed forum attracted more than a hundred participants from Mongolia and other countries, sharing lessons from their own democratic transitions. As Chair of the Council of Member States of International IDEA in 2016, Mongolia hosted the Annual Democracy Forum in collaboration with International Institute for Democracy and Electoral Assistance (IDEA) and with the Non Aligned Movement Centre for South-South Technical Cooperation (NAM CSSTC). The participants shared their opinions on the lessons from the democratization processes, solutions of safety during the democratic transitions, ways of strengthening coordination between the democratic political leaders and civil movements, ensuring women's involvement and representation, participation, role and contributions of international organizations. In the closing speech, the Vice Minister of Foreign Affairs B.Battsetseg extended gratitude to all representatives from overseas and home country, special thanks to the youth, and pledged more effort on increasing the women representation in democracy. SHERIDAN, August 29 (The Sheridan Press) — Comparisons between Mongolia and Sheridan, Wyoming, are not often made, but two research students from the east Asian country have been doing just that. Gantuya Jargalsaihan and Munkhaul Tsogtsaikhan have been in the area for just over one week and will stay through this week, conducting research and studying range management. Range management is a key issue for Mongolia because livestock grazing is affecting the five species of cranes that migrate to the country. Jargalsaihan is a doctoral student and Tsogtsaikhan just received her bachelor's degree. Their trip is sponsored by the International Crane Foundation. The researchers said they already have some ideas to bring back to their country to help ease the pressure grazing has put on the migratory birds. For example, Jargalsaihan said Mongolia has no limits on how many animals can graze in certain areas. Creating and following rules for herders, she said, would likely be very beneficial for the management of the country's rangeland. While in the Sheridan area, Jargalsaihan and Tsogtsaikhan have met with officials from the U.S. Forest Service — which is hosting the students, permit holders and other stakeholders in rangeland management. Both women noted the high level of communication, especially regarding the regulations surrounding grazing, and the management of the water resources in the area as impressive. One primary difference that Jargalsaihan noted is that while the U.S. is highly developed and has multiple organizations in place to manage public lands, Mongolia is still developing. In addition, while the U.S. has primarily cattle and sheep grazing on public lands, Mongolia has a number of species to manage on its lands, including sheep, goats, cattle, horses, camels and yaks. The kind of animals grazing depends largely on the elevation at which the public land being utilized in Mongolia is located, Jargalsaihan and Tsogtsaikhan said. "One thing that we've talked about is that we have limited permits," said David Beard, a rangeland specialist with the Bighorn National Forest. "In Mongolia, while a large part of the land in the country is government owned, anyone can use it and have animals graze it. They don't have a permit system, so that is a challenge for them." Jargalsaihan and Tsogtsaikhan will spend the week finalizing a presentation to provide to the USFS and the International Crane Foundation. They also hope to affect change within their country and allow for the better management of the rangeland resources available. Jargalsaihan said because the Bighorns are similar in elevation, topography and other aspects to Mongolia, she could see more students returning to the area. It wasn't all work for the women while in Sheridan. They've stayed primarily at the Burgess Ranger Station in the Bighorns, where they noted they've enjoyed the quiet and the wildlife — including moose and other animals. But they also spent some time in town, even taking in a football game Saturday — something they'd never done before. August 29 (UB Post) In democracies, the ruling power is transferred to political parties for a specific amount of time through public elections. Democracy is not perfect, but it is said to be the best of all forms of governments that have been tried over time. The people live a prosperous life only when the economy is based on free market relations. This is why Mongolians chose the path of democracy and a free market in 1990. Then, 25 years later, why do we see our economy entering into crisis too frequently, the national currency weakening, the elderly without their pensions, the youth without jobs, the environment being harmed, and our capital city drowning in smog? Why do we have people who are doing little work but politicians being followed with great excitement? How did we end up with a government that keeps making false promises? The people who work in the government are called civic or public servants in countries where democracy has flourished. These terms came into use because the government serves the people, not itself. However, when it comes to the government and the people who work within it, Mongolians have an understanding and perceptions that trace back to the totalitarian system. It has been taken advantage of by those who have had ruling power in Mongolia. They have been serving their interests and becoming wealthier while pretending to be working for the people. Mongolia is deeply stuck in the swamp of corruption. According to systems theory, society is composed of wealth, knowledge, power, tradition, and arts and culture. These components are studied in greater detail in economics, science, politics, ethics, and aesthetics. Over the course of development, any component of society might face difficulty. If the difficulty is managed on a frequent basis, it is not likely that the entire system will face a crisis. When the system enters a decline, creative and destructive processes take place simultaneously, and the stronger of these processes impacts the end result. A crisis can continue for decades. Therefore, society can only develop and flourish by identifying, understanding, and overcoming the obstacles that have faced them. The current crisis faced by our economy was caused by the failure to remove the corrupt relationships that have prevailed over the relationships of power in our society. Corruption is a structural deficit that has occurred during the process of distributing wealth and creating knowledge. It traces back to the unequal distribution of power (where a public servant has more power than the people) and leads to a situation where all power is centralized in one place (dictatorship). Then, after some time, the next challenge comes into play. When it happens, development slows down as protests take over society. Eventually, there comes a situation where the rule of law is lost and it is unclear where the power lies (e.g. the 2014 Ukrainian Revolution). Such an environment does not guarantee the protection of human lives, and can lead to the disassembly of a nation (e.g. the current situation in Venezuela). Stopping corruption, or failing to do so, has direct consequences for the future of a nation. WHO CAN STOP MONGOLIA'S CORRUPTION? Corruption in Mongolia originates from the lack of transparency in political party financing. Power and positions are traded under the name of political party financing and donations. The Members of Parliament have always said that they would make the financing of their political parties transparent. This is one promise that has never been realized. Similarly, it has always been promised that the "double deel" would be banned, and it would be prohibited in the Constitution. Again, this has not happened yet. Politicians always talk about how public servants will be selected on the basis of merit and skills, but we keep seeing that seats are still bought and sold once there is a new government. These trades dominate the process of restructuring the Cabinet, consolidating ministries, or creating new ones, and introducing the position of Vice Minister. The Mongolian People's Party (MPP) and the Democratic Party (DP), who have had the ruling power in turns, have reached a stage where they can't ever stop corruption. Corruption, including buying and selling seats in the government and trading special permits, has already become their way of life. Any crimes that have been uncovered eventually disappear, because the oligarchs in these two political parties are interconnected through their corrupt acts. If thoroughly investigated, any corruption case would end up with links to these two major parties. The MPP and DP have the law enforcement agencies under their control, which means we will not be able to get rid of corruption and get the economy out of crisis. What this means is that the crisis will only be distributed to other parts of society. The public has started to realize that we cannot keep waiting for the MPP and DP to change. These two parties will not stop corruption. The people are increasingly believing that only a new generation, which has gained experience from highly developed countries, can redistribute power equally and hold the corrupt accountable. This generation can harness support from the more educated and active population, and eventually drag the other parts into the path of progression. Mongolia does not have any other choice now. The young people who received an education in Germany and France in the 1930s have made substantial contributions to the development of arts and culture, and to the forming of public opinion after they returned to Mongolia. However, many of them were eradicated under the direction of the Soviet communists. Only after getting rid of corruption, can we – the Mongolian people – bring about prosperity in our livelihoods as we progress on the path that we have chosen. August 29 (UB Post) The Mongolian National Chamber of Commerce and Industry (MNCCI) reported that it opposes the Cabinet's decision to increase income tax by 10 to 25 percent, as the MNCCI believes no environment has been created to raise income taxes. The MNCCI underlined that during the economic crisis, which has been continuing since 2013, domestic entities have been obediently paying taxes and rental payments. The MNCCI stressed that thanks to the Law on Supporting Economic Transparency, a total of 33,000 entities submitted their financial and tax reports, resulting in making around 34.2 trillion MNT in expenditures transparent. "Since the beginning of this year, Mongolia started a VAT refund system, and the number of ATM machines has increased from 1,700 to 40,000, increasing the basis of taxes by 23 times. According to the latest statistics, tax revenue projection was at 99.5 percent. Fulfilling tax income projections during an economic slowdown means that, thanks to the new tax system, we are collecting taxes we were failing to collect from around 60 percent of the market," the MNCCI stressed. The MNCCI believes that instead of increasing taxes, improving the tax system and expanding its foundation will provide more effective possibilities to consistently collect taxes. The MNCCI suggested that Mongolia get used to the new tax system instead of increasing taxes. The chamber underlined that this would be their main goal, and they believe that it will help in generating revenue, create possibilities for businesses to repay their debt from bonds, and to overcome the nation's economic crisis. "We are opposing tax increases. Instead, we need to improve and develop the VAT system which is already being implemented," they said. The MNCCI said that businesses are waiting for the Cabinet's policy on the macro economy and what they are going to do in addition to raising the monetary interest rate. The chamber called on the Cabinet to make these things clear to businesses. The MNCCI emphasized that they are ready to cooperate with the Cabinet, Parliament, and Mongol Bank on policies to improve the current economic situation. August 29 (news.mn) Invest Mongolia 2016 will be held from 5th to 6th September in Ulaanbaatar. It is biggest investors' forum in the land-locked Asian country, which has vast mineral resources, including coal, copper and gold. This year, the forum is expected to attract more participants than usual, with many foreign investors and businesses interested. Therefore, the Mongolian People's Party has introduced investor, miner-friendly policies. The forum will focus on assessments of the government's action plan for the next four years. The forum's participants will hear presentations about how to gain investor trust and will also prepare recommendation that will be delivered to the Cabinet. The forum will include an overview of the Mongolian economy, including updates on legal, accounting, and other regulatory changes; the launch of Asian Infrastructure and Investment Bank and its involvement in developing infrastructure in Mongolia; and the importance of the Asia-Europe Meeting Summit to Mongolia and other countries. The organizers are highlighting issues concerning the progress of the Oyu Tolgoi underground mine and other major projects, as well as their impact on the economy; Mongolia's banking industry and its strategies; the development of non-mining sectors, including real estate; the outlook on the bond market; and challenges for refinancing ahead of 2017 will be discussed at the forum. Rio is the majority shareholder in Turquoise Hill Resources (TRQ), a Canadian miner that has a 66 percent controlling interest in Mongolia's Oyu Tolgoi (OT) mine, which has one of the world's largest copper reserves. Following a two-year dispute with the Australian company, Mongolia's outgoing Prime Minister Ch. Saikhanbileg finally allowed Rio to restart work on OT last May. The miner recently announced it would invest about $5 billion in OT over the next four years. Optimism is also high for progress on the Tavan Tolgoi (TT) mine, one of the world's biggest untapped coking and thermal coal deposits, which also experienced difficulties under the previous administration. Ulaanbaatar, August 29 (MONTSAME) Deputy Prime Minister U.Khurelsukh received Monday a delegation led by Mei Kebao, the Vice Minister of the China's General Administration of Quality Supervision, Inspection and Quarantine (GAQSIQ), in the State House. Beginning the meeting, U.Khurelsukh noted that high-level mutual visits have been regularizing, and the bilateral relations and cooperation have widened in all spheres. The sides exchanged views on the ties and cooperation between the General Authority of Specialized Inspection of Mongolia and the China's GAQSIQ, on quarantine actions during exporting and importing of agricultural and livestock products and on transit transportation. They agreed with a necessity to make the cooperation closer in augmenting the export and import of products which satisfied the quarantine and safety standards. Within the visit here, the China's Vice Minister will sign memorandums on plant quarantine requirements for Mongolia's export of silimarina seeds to China, on quarantine for mutton, beef and goat meat, hygiene, veterinary service; and a Mongolia-China cooperation agreement on border hygiene and quarantine. August 28 (UB Post) Mayor of Ulaanbaatar S.Batbold issued guidelines to intensify the implementation of the Bus Rapid Transit (BRT) project, to be implemented in cooperation with Asian Development Bank (ADB) in order to mitigate Ulaanbaatar's traffic congestion and provide prompt transport services to city residents. ADB reported, "Investments in urban transport infrastructure, management, quality of services, and road safety have significantly lagged behind the pace of urbanization. As a result, the city is suffering from heavy road congestion, inefficient traffic management, poor safety conditions, and a weak public transport system. These factors contribute to economic inefficiency due to increased trip times, excessive fuel use, and poor air quality, which all serve to reduce residents' quality of life. Without a viable system of public transport, Ulaanbaatar will soon experience even more serious traffic congestion that will negatively impact economic development and quality of life." Ulaanbaatar Development Corporation was made responsible for setting up a schedule for completion of a general finance agreement for the Ulaanbaatar Public Transport Development Investment Program, and to create a project unit to work with a contractor. The guidelines will be submitted to the Ministry of Finance and ADB for suggestions. Chairman of the Mayor's Office M.Otgonbayar was assigned with overseeing the implementation of the Mayor's guidelines. August 29 (news.mn) Ulaanbaatar Mayor S.Batbold issued decree to close down the City Economic Development Agency today (29th August). According to new structure of city administration, the Economic Development Agency will no longer exist, its functions, documents and equipment being transferred to another department. Its employees, who are now laid off will receive a one- time allowance from the social insurance fund. M.Otgonbayar, who is chairman of the mayor's office, will be responsible for the progress of closing the agency. August 28 (UB Post) Students are preparing to go to school, which will start on September 1. Blue Ocean Trade LLC is organizing Kids & Family Expo 2016 at Misheel Expo from August 29 to 31. Stationeries, books, uniforms, and toys will be on sale at the expo. Art performances and free dental examination for children will be held. August 28 (UB Post) The LGBT Centre in Mongolia will hold its annual Equality & Pride Days from August 26 to September 4. This annual event is very important to the LGBT community as this is a great chance to show the visibility of the community and to show what they stand for. Within the frames of Equality & Pride Day, "My Friend is LGBT" book launch and discussion will be held at the American Corner on August 31. When: August 31, 2:00 p.m.
August 29 (UB Post) From September 14 to 15, the Coordinating Council on Trans-Siberian Transportation (CCTT) will hold its 25th Plenary Meeting in Ulaanbaatar. The CCTT discusses all issues related to transit and foreign trade cargo transportation on the Trans-Siberian railroad. Mongolia believes that the meeting will be vital in supporting the Trans-Siberian transit corridor between Mongolia, Russia, China, and help expand foreign trade activities between the three countries. Mongolian representatives underlined that by establishing the railway corridor connection between Asia and Europe, Mongolia will become a bridge connecting China to Europe. They believe that the railway corridor will also cut freight transportation time and expenses. Ulaanbaatar Railway believes that by organizing the meeting as an integral part of the Trans-Siberian transit corridor, Mongolia will increase and strengthen its position among the Trans-Siberian transit corridor participants, present the tariff discount and renovation programs of the Ulaanbaatar Railway, promote the nation's railway sector to international transportation intermediaries to increase freight flow and transit transport, and views will be exchanged on the challenges being faced in the railway sector. Mongolia is hosting the meeting for its first time, and Ulaanbaatar Railway is working to organize the meeting under the auspices of the President of Mongolia. The two-day meeting is expected to be attended by Chairman of the CCTT and Director of Russian Railways Oleg Belozerov, authorities of China Railway Corporation, TransInvest President Werner Albert, President of the Trans-Siberian Intermodal Operators Association of Japan Kenjiro Masuda, and other railway sector representatives. Ulaanbaatar, August 29 (MONTSAME) Chairman of the State Great Khural (Parliament) M.Enkhbold received Monday the Ambassador Extraordinary and Plenipotentiary of the Russian Federation to Mongolia I.K.Azizov. The latter congratulated the Speaker on the absolute victory of his party in the 2016 parliamentary elections, and being appointed to such a high office. He conveyed in person the greetings of the Chairmen of the Houses of Federal Assembly of Russia, submitted through the Ministry of Foreign Affairs of Mongolia. Speaker Enkhbold noted that he and the head of Russian government D.A.Medvedev had talks on the certain issues of bilateral ties during the latter's visit to Mongolia last July, and thanked the Ambassador for making important contribution on organizing the meeting. The Speaker and the Russian Ambassador touched upon matters such as the dialogues surrounding the Lake Baikal issue and operations of "Ulaanbaatar Railway" joint venture. Present were, the head of Foreign Relations Division of the SGK Office Ts.Narantungalag, head of the Neighboring Countries Department of the Ministry of Foreign Affairs T.Janabazar and other officials. Ulaanbaatar, August 29 (MONTSAME) Ambassador Extraordinary and Plenipotentiary of Mongolia to Hungary Z.Batbayar paid a courtesy call on Peter Szijjartу, the Hungary's Minister of Foreign Affairs and Trade, on August 25 in Budapest. At the meeting, the sides exchanged views on the bilateral relations and cooperation, and projects and programs to be implemented. They also shared views on Mongolian student to study at Hungarian universities and institutes with governmental scholarships, at conservatories and the Ferenc Puskas Football Academy. Ulaanbaatar, August 29 (MONTSAME) A member of the State Great Khural N.Oyundari received Monday a visiting delegation headed by Li Zhanfen, chairman of the Education Division of Baotou city of China's Inner Mongolian Autonomous Region. The parliamentarian pointed out that a national program called "Well-bred Mongolian child" (Mogi: promise you it doesn't sound this creepy in Mongolian) has been launched with aims to reform the legal system in the educational sector and to boost education of Mongolians on their national tradition and culture. In turn, Li expressed his satisfaction with a sustainable development of the Mongolia-China cooperation which immensely contributes to the collaboration between the Mongolian capital city and Baotou city of Inner Mongolia. He said Baotou city wants to bring the education cooperation with Ulaanbaatar city into a new level and to intensify the exchange of students and teachers especially in vocational training sector. The People's Government house of Baotou has established a special zone for professions which prepares trained stuff and provides graduates with vacancies, contributing to a development of the national economy, Li said. He added that the delegation of Baotou intends to get familiar with a secondary school and a vocational training center in Selenge aimag during the visit here. N.Oyundari MP said she will support the cooperation between Inner Mongolian Baotou city and Selenge aimag in the education sphere. Ordained yesterday, the first Mongolian priest celebrated his first Mass today. His mother's joy and the pride of his faithful. Buddhist leader: "We have excellent relations with Catholics, we learn from them as they learn from us." Over 1,500 faithful and guests celebrate the event. Ulaanbaatar, August 29 (AsiaNews) - The first mass celebrated by a newly ordained priest "is always a gift of God. But this mass, this Eucharistic Liturgy is for me an even greater gift. Now I hope to be able to walk on the path indicated by the Lord and do His will", said Father Joseph Enkh-Baatar, the first priest of Mongolia's small Catholic community, this morning. The young man was ordained yesterday in the Cathedral of Saints Peter and Paul in Ulaanbaatar, the same church where this morning he celebrated his first Eucharist. The ordination was presided by the Apostolic Prefect Msgr. Wenceslao Padilla, who today celebrates the 12th anniversary of his episcopal ordination; by Msgr. Lazzaro You Heung-sik, bishop of the South Korean diocese of Daejeon where Enkh studied; and the nuncio to Korea and Mongolia, Msgr. Oswaldo Padilla. More than 40 priests concelebrated, from Consolata Fathers missionaries present for years in the Asian country to Fr. Modesto, who came from the Archdiocese of Naples on behalf of Cardinal Sepe. There were 1,500 faithful and guests, including representatives of the government and city authorities as well as a sizeable diplomatic representation. Those present included Enkh's mother, who embraced her son, calling it "an honor". Of note, the attendance of Abbot Dambajav, who leads the Buddhist monastery of Dashi Lin Choi. The Mongolian people in fact divided between traditional Tibetan Buddhism and shamanism, and aspects of the two religions often meet. Relations are not as close with the Christian community, thus Enkh's ordination is also a bridge in this sense. The abbot attended the ordination Mass and gave the young priest a khadag [traditional blue Buddhist scarf]: the color represents the sky and purity, but it is also a symbol of good omen and call for compassion. Those present applauded when the religious put the scarf on Enkh's shoulders. The abbot's secretary, explained: "We have good relations with Catholics, we learn from them as they learn from us. We are happy that one of us, a Mongolian, has become a priest of this church". August 29 (news.mn) S.Byambatsogt, Minister of Justice and Domestic Affairs and officials of the General Authority for Border Protection had a meeting with Mongolia's Olympic medalists earlier today (29th August). At the meeting, Olympic silver medalist judoka D.Sumya was given a three room-apartment and bronze medalist boxer D.Otgondalai a two room- apartment. Mongolian judoka D.Sumya won a silver medal in the women's 57 kg category becoming the first Olympic medalist of the Mongolian women's judoka as well as Mongolian top medal at Rio-2016. Mongolian boxer D.Otgondalai in the men's 60 kg category took Olympics bronze medal. Altai-Himalaya wins 10th Genghis Khan Polo Cup! August 29 (POLO+10) On Saturday the anniversary edition of the Genghis Khan Polo Cup at the Genghis Khan Polo Club in Mongolia successfully came to an end with Céline Louise Lawrence (GBR, -2), Johann Smula (CZE, -1), Ang Tshering Lama (NEP, -1) and D'Artagnan Giercke (GER, 1) of team Altai-Himalaya emerging as winners. In an exciting final match the foursome defeated its opponent team Yaba Daba Doo, consisting of Munkhzul Hurelbataar (MGL, -2), Russell Tyre (GBR, 0), Joe Arber (GBR, 0) and Myagmarjav Adiya (MGL, 0), by 7-5. Before the final match, team POLO+10 with Thomas Wirth (GER, -2), Dolgorsuren Batoyun (MGL, 0), Ich Tenger Giercke (GER, 0) and Rinchen Oldokh (MGL, 0) secured victory by a narrow margin and thus gained the third place. POLO+10 won against Intrepid Polo, including Francesca Smith (GBR, 0), Hormoz Verahramian (IRN, -1), Amaglan Togtoh (MGL, -1) and Dorjpalam Battomur (MGL, 0), by 6-5. When the POLO+10 Team will be back in Germany in a few days a big photo gallery will be published on Facebook! Ang Tshering Lama, winning team Altai-Himalaya and Club Manager at Genghis Khan Polo Club: "The Genghis Khan Polo Club enjoyed its most successful Polo Championship on its 10th anniversary this year. A total of 6 very diverse teams mixed with different nationalities came together to play a sport we all love. Thanks to POLO+10 for covering the tournament and also bringing their own team. Looking forward to a bigger and better 11th edition of the Genghis Khan Polo Cup next year." The POLO+10 Team now is on its way to Beijing to the Beijing Sunny Times Polo Club, where the "POLO+10 Patrons' Cup China 2016" will be held from 12-17 October! Just like the Genghis Khan Polo Cup this tournament is also part of the POLO+10 World Tour, which takes its participants to the most beautiful and exotic polo destinations of the world. August 29 (Wilts and Gloucestershire Standard) A RIDER from the Cotswolds has returned from Mongolia after completing the toughest horse ride on the planet, all for charity. Rosie Bathurst, 24, took part in the gruelling 1,000km Mongol Derby last month, in what she described as the best and worst experience of her life. The former Westonbirt School pupil rode semi-wild, unpredictable horses and slept under the stars during the ten day challenge, which only half of the entrants completed. Speaking about the experience she said: "It's hard to explain how I felt as I was really enjoying myself but also wishing I was able to just stop and not have to keep going and ride anymore mad wild horses. "Injuries this year included broken legs, ribs, pelvis and neck, as well as severe dehydration and food poisoning. "Knowing all these injuries were happening around me, filled us all with a lot of fear. "At any moment that could be us and this mentally started to exhaust you as you were constantly on the wait for something bad to happen, be it a bucking horse or falling in a marmot hole. Ulaanbaatar, August 29 (MONTSAME) The photo-album has been published on the support of the Ministry of Foreign Affairs of Mongolia in order for the national and international art enthusiasts to have better insight to precious heritages of Mongolian arts and culture. The opening ceremony for the release of Mongolian Arts book was held at the Choijin Lama Temple Museum of Ulaanbaatar on August 26.